Urban planning and regeneration in Aotearoa is posed with a number of complexities, related to how decisions are informed through current evidence for better social, environmental and economic outcomes at the city and neighbourhood scales. Planners often face the challenge of having to comply with several planning processes which recurrently do not have an integrated approach to environmental, social and economic assessment of planning and regeneration scenarios. Adding to this complexity, there is a lack of geospatial tools to support planners in evidence-based decisions, or to support the visualisation of planning and regeneration scenarios to involve other actors in the process (i.e. decision-makers, developers, Iwi, and resident communities). Our research develops tools to provide support to planning practitioners in assessing, comparing, examining, and visualising the trade-offs of regeneration scenarios, and build business-cases to advocate for alternative approaches to sustainable regeneration. 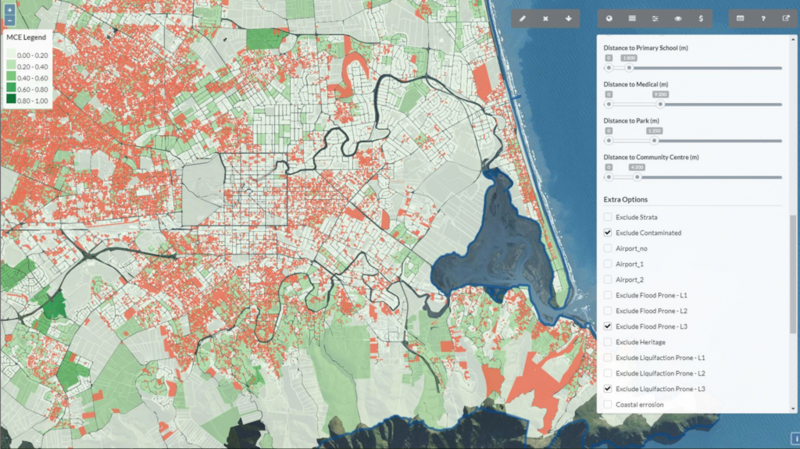 This research develops a geospatial toolkit to support evidence-based decision-making in urban planning and regeneration in Aotearoa. Planning decisions are complex, and urban models can provide a more comprehensive perspective on impacts of such decisions on the underlying interdependencies. For this, we have developed two distinct geospatial tools: Envision and Envision Scenario Planner (ESP). 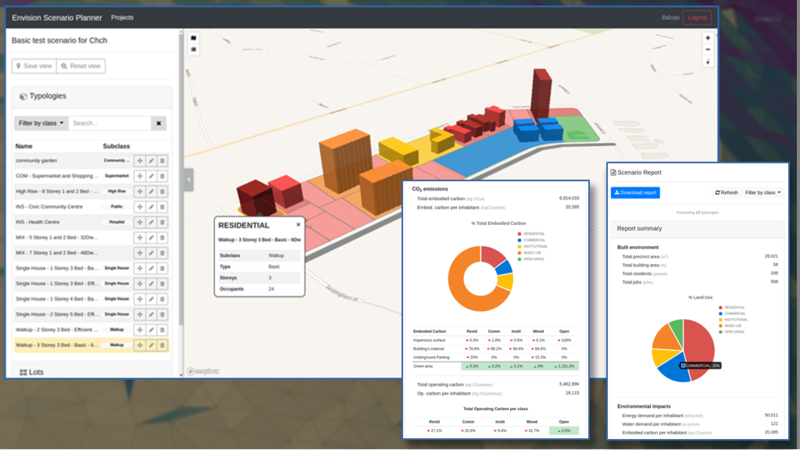 Envision aims to support the identification of urban areas suitable for specific regeneration strategies at the city-region scale, through the analysis of demographic and property-level data. ESP enables the assessment of alternative regeneration scenarios as to their environmental, social and economic impacts at the neighbourhood scale. Stakeholder engagement is a key component of this research, and the team has been working with diverse planning authorities to assess the suitability and usability of the geospatial toolkit and identify areas for improvement considering local specific needs and priorities across the country. Research Team: Prof Simon Kingham (PI), Dr Rita Dionisio-McHugh (researcher), Dr Mirjam Schindler (researcher), and Ines Falcao (developer). Collaborators: Alex Leith (developer at CRCSI, Australia).